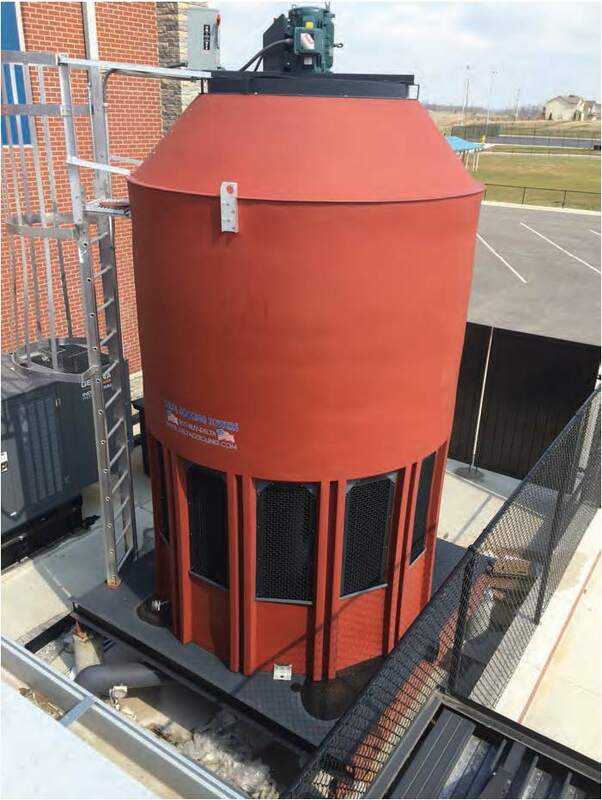 Understanding the Different Types of Cooling Towers | Manufacturers of Cooling Towers &amp; Systems by Delta Cooling Towers, Inc. | Manufacturers of Cooling Towers & Systems | Delta Cooling Towers, Inc.
Cooling towers might be one of the most crucial parts of any industrial process. These tall, open-topped, cylindrical structures are responsible for cooling water generated from industrial or hvac comfort cooling process. And you may be surprised to learn that there is much more to these cooling towers than you ever knew. Cooling towers can perform their work in a number of different ways, using different technologies to cool process water. As their name implies, natural draft cooling towers rely on natural convection to circulate air throughout the tower, which then cools the water. Air movement occurs due to differences in density between the entering air and the internal air within the tower. Warm, moist air, which is more dense than cool air, will naturally rise through the tower, while the dry, cool air from outside will fall, creating a constant cycle of air flow. Unlike natural draft cooling towers, mechanical draft cooling towers employ fans or other mechanics to circulate air through the tower. Common fans used in these towers include propeller fans and centrifugal fans. Mechanical draft towers are more effective than natural draft towers, and can even be located inside a building when exhausted properly. However, they consume more power than natural draft cooling towers and cost more to operate as a result. In a crossflow tower, air flows horizontally through the cooling tower’s structure while hot water flows downward from distribution basins. Crossflow towers can be as tall as counterflow towers, but they’re also more prone to freezing and are less efficient. Counterflow towers move air upward through the tower while water flows downward to cool the air. These towers are often more compact in footprint than crossflow towers, and can save energy in the long run. What are your thoughts on the different types of cooling towers? Have any questions or comments for us on maintaining successful cooling tower systems? Let us know!